The active pattern continues as we close out the work week. We’ve seen near daily rain chances and that doesn’t look to end as storms remain scattered through the weekend. 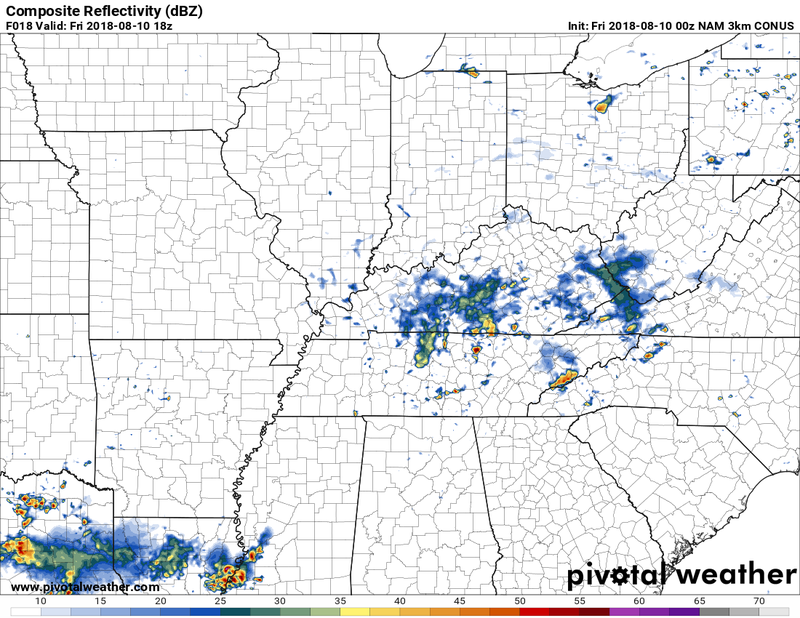 We’ve got a pesky low pressure and frontal boundary that will be hanging out with us again today, and that means the chances of scattered thunderstorms will once again be upon us. Much like yesterday, we’re not expecting any kind of severe weather (even if those clouds might look a bit scary at times) but heavy rain will be a possibility should one of those scattered storms find it’s way over your house. With those extra clouds around, temperatures, much like yesterday, should be held down to around the 85º mark. Storms should begin to diminish as we head into the overnight, with lows around 70º under mostly cloudy skies. A more typical summertime pattern returns to start the weekend, with sunshine returning in the morning hours, only for heat and humidity to spark showers and storms. Mostly sunny skies mean temperatures will warm to near the 90º mark for a high and this could get a few storms bubbling up in the afternoon. Nothing widespread but it will cool you down if you get caught under one. Storms look to once again diminish overnight, with lows right around 70º. Nearly identical conditions will also grace our doorsteps for Sunday. Temperatures will make for the 90º mark again, and once again a few scattered storms may pop in the heat of the afternoon under mostly sunny skies. Nothing widespread, nothing significant, just nature’s luck of the draw for a random cool down on a hot summer’s day. Any storms fizzle by nightfall for another low near 70º.